Evergreen Optical Carnegie is an independently owned full scope optometry practice that provides total eye care to the general community. 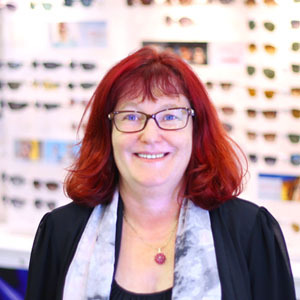 The team at Evergreen Optical Carnegie are a group of professional and friendly staff who are passionate about their work and enjoy coming to work each day. The practice was established in 2008 and has built a strong reputation in delivering exceptional levels of service and excellent range of products. 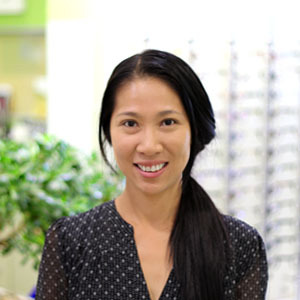 Dr Khang Ta is the principle optometrist at Evergreen Optical Carnegie. He graduated from the University of Melbourne in 1999 and is therapeutically qualified. 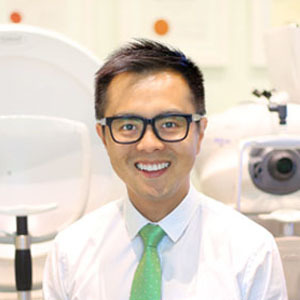 Dr Khang Ta practises clinical and diagnostic optometry. He has served as a clinical teaching instructor at the University of Melbourne and his areas of interest include dry eyes, children's vision and contact lenses. Leanne is an optical dispenser and optometrist assistant. She has undertaken formal training at RMIT and brings to the Evergreen Optical Team a detailed understanding of the optics and mechanics involved in making prescription eyewear and contact lenses. Leanne's special interests include paediatric eyewear and vision therapy. Her attention to detail is evident in all her laboratory work and she takes great pride in every pair of glasses she puts together. Glenise is a qualified optical dispenser with over 20 years of industry experience. She is passionate about all aspects of her job and has an extensive knowledge of optics. Glenise understands her patients and listens to their individual needs. Coupled with her keen sense of fashion, she offers practical and functional solutions to help improve the vision of her patients. Ming is an optical mechanic and is responsible for the glasses made at Evergreen Optical. 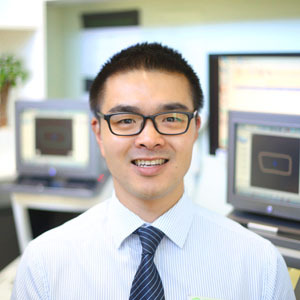 He heads the onsite laboratory and has undergone special training in rimless lens edging and manipulation.